Lisa Lillien, a.k.a. 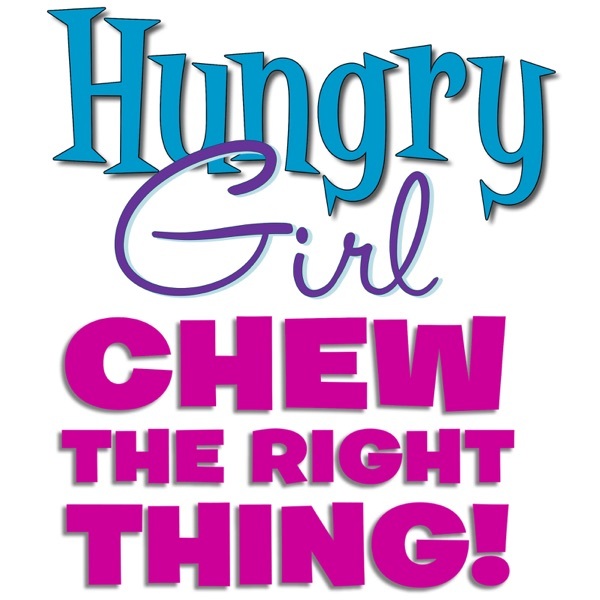 Hungry Girl, is obsessed with food––how wonderful it is, and how much of it she can eat and still fit into her pants! Through bestselling cookbooks, a daily email with 1 million+ subscribers, a magazine, and more, her Hungry Girl empire delivers healthy recipes that are easy &amp; delicious, tips &amp; tricks, smart food finds, and real-world survival strategies. And now she’s reaching fellow food lovers like never before! Each food-themed episode is packed with personal stories, taste tests of better-for-you finds, foodie pop culture &amp; news, Q&amp;A with fans, fun food facts, and special surprises. It’s 5 o’clock somewhere... TIME FOR HAPPY HOUR! In this episode, Lisa shows you how to cut the calories at the bar and shares her 2-ingredient party food hacks! Plus, the gang reviews low-calorie mixers, shares some serious shockers, and more. Let the party begin! Not enough Trader Joe’s chocolate treats in **The Chocolate Episode**? Here are a few more, this time from the frozen aisle… Enjoy! We’ve gone CHOCOLATE CRAZY! In this episode, Lisa shares her 3 chocolate must-haves (under 150 calories! ), plus the healthy secret chocolate find she LOVES the most! A round of chocolate Chew or False, chocolate hacks, and chocolate finds from Trader Joe’s. Settle in for a sweet ride! Have 5 minutes? Here’s a bite-sized segment on how to burn off the calories in donuts, pizza, and wine! Hungry for more? Check out the Swap ‘Til Ya Drop Episode for must-have food swaps, tips for DIY Starbucks drinks, a Trader Joe’s taste test, and more! GET READY TO SWAP ‘TIL YA DROP! In this episode, Lisa dishes out the 6 swaps you MUST HAVE, plus her swap of the week (maybe of the year)! Here’s a hint, it’s a vegetable, but it’s not cauliflower! And our very first CHEW & TELL featuring 3 TRADER JOE’s swap finds! Is healthy pizza a myth? Lisa answers this question and shares her tips & tricks for ordering pizza, making your own pizza, and so much more. Plus, pizza crust hacks, her take on cauliflower crust, the most popular pizza toppings, and Lisa’s very first pizza memory! Does guilt-free ice cream exist? In this episode, Lisa and the gang talk wacky ice cream flavors, healthy at-home hacks, and memories of the ice cream truck. Plus, Lisa’s top fro-yo shop tips (#2 is a game changer! ), an interview with the creator of ENLIGHTENED ice cream, and special review of Frosty Paws from Lolly.